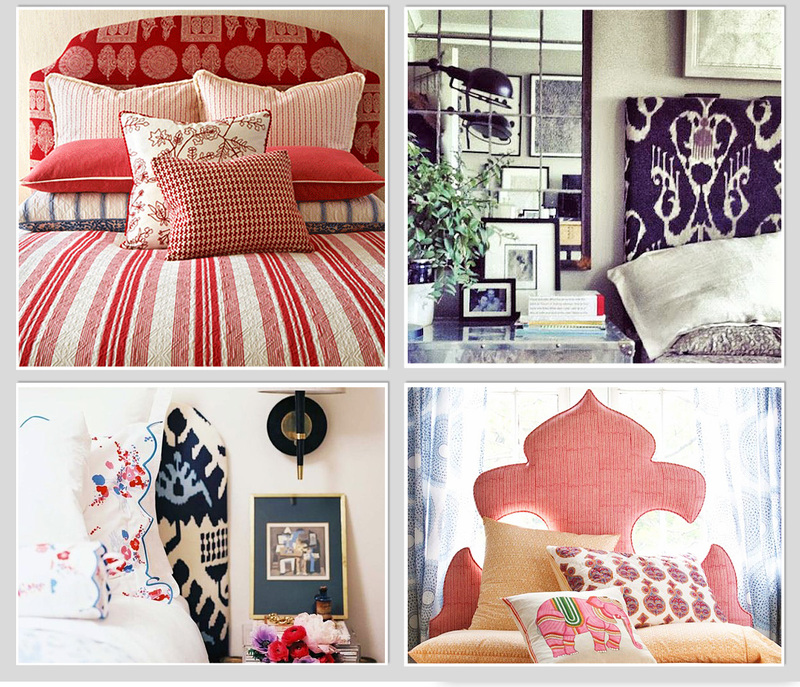 Re-invent your Home with some Pretty Fabric! Have you been wanting to do up your space since forever and just can’t afford the time? Are you on a budget and don’t know how and where to get started? Fret not, for help is at hand. 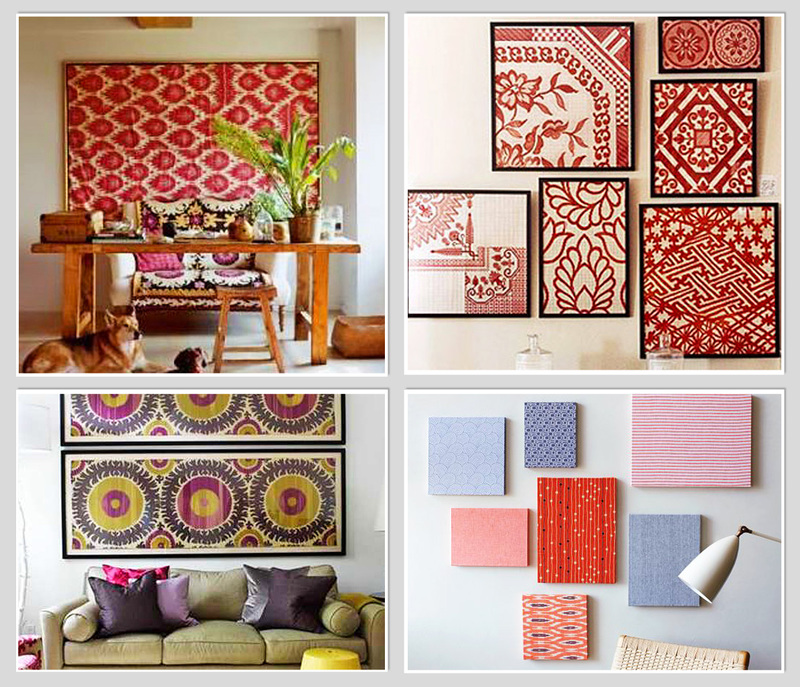 Jaypore scours through its favorite décor blogs (we do it all the time!) and gets you décor inspiration that is quick, easy on the pocket, and requires just a few yards of colorful multi-purpose fabric. Add some life to a boring couch or a daybed by creating a new color palette with a bunch of different cushion covers that have similar color tones. The fact that they are only similar to each other and not copies of each other will bring in a little bit of variation in their colors, which will add depth to the mood of the space. Another plus is that you can easily add or subtract color from an existing theme and re-invent the space all over again with very few ingredients. 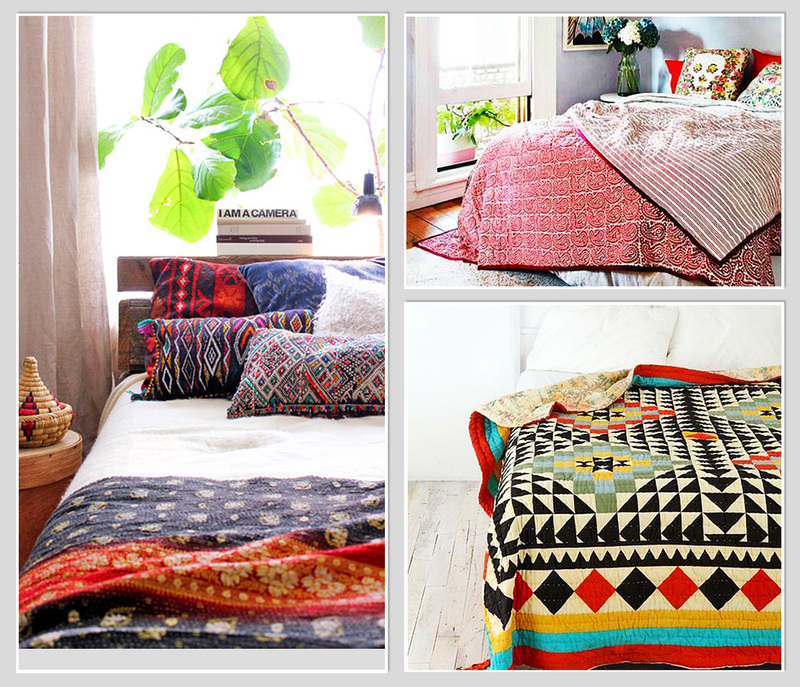 Have fun with colorful fabric and create a new bedspread. You can use mismatched fabric for each side and just reverse it for a quick change of theme. You can also get more creative and stitch up smaller but different pieces together to create a funky patchwork for a bedspread! 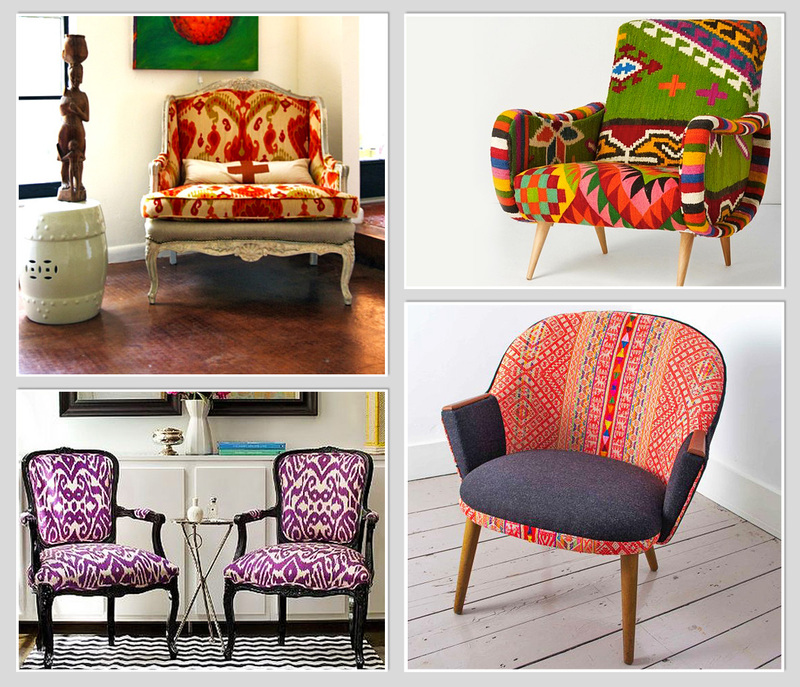 Whether its a striking piece of tribal textile, or a handsome Ikat, you can’t find better use for it than doing up an old armchair with it. Imagine what it could do to your beloved reading corner! 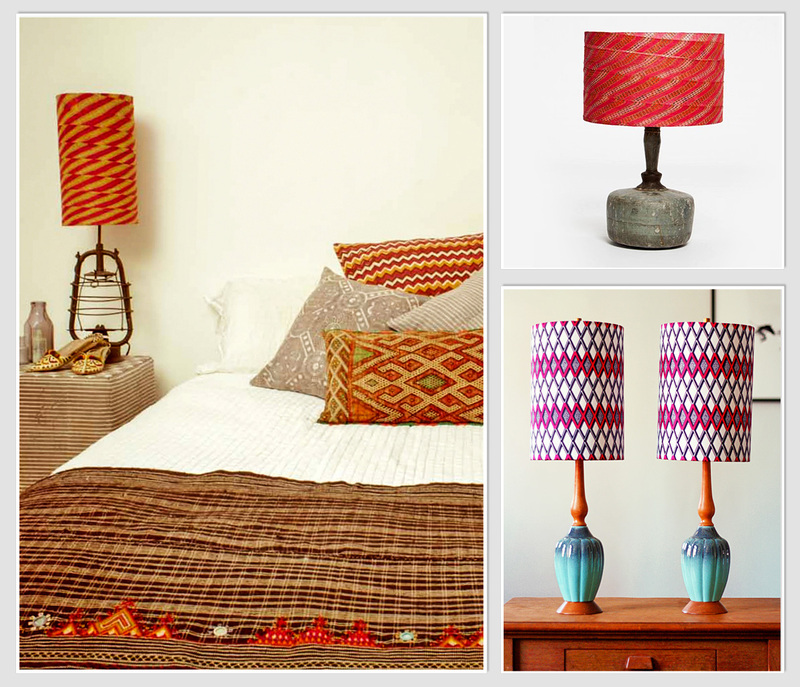 Bring in a twist by re-doing an old lamp with a fun weave or print on a sheer fabric. This is our personal favorite of the lot and you’ll know why once the sun goes down and you light the lamp! 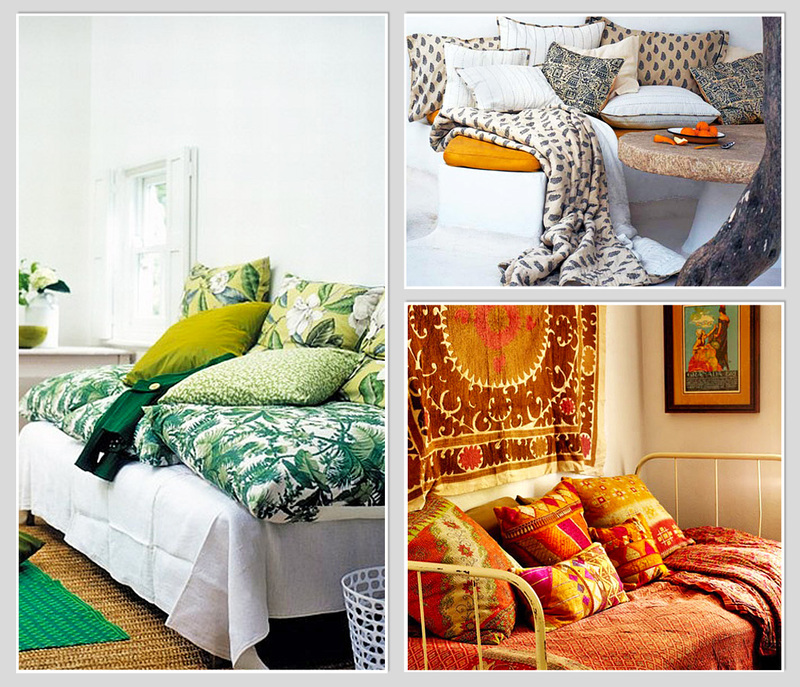 You can also coordinate the shade with matching cushions. When you’re left with an awkward size or proportion and you can’t think of any use for it, you can simply frame it up and put in on the wall. You could span the entire wall with one huge piece for a dramatic look, or do a collection of smaller (read leftover) pieces for a cozy space like the wall above a writing desk. This is a cool trick to brighten up your bed, and a very comfortable one at that for you can add an ample dose of padding underneath. You’ll be amazed to see how a piece of pretty fabric and the tiniest bit of effort, can add the much needed twist to your decor and change the mood of the entire space. Happy fabric hunting! Posted in Art, Crafts, Textiles and tagged decor, diy, eyecandy, eyegasm, home, indian design, inspiration, interiors, textile, Textiles. Bookmark the permalink.